A Bouncing Baby Boy Was Born With Grey Hair And He Is Adorable! Home » »Unlabelled » A Bouncing Baby Boy Was Born With Grey Hair And He Is Adorable! 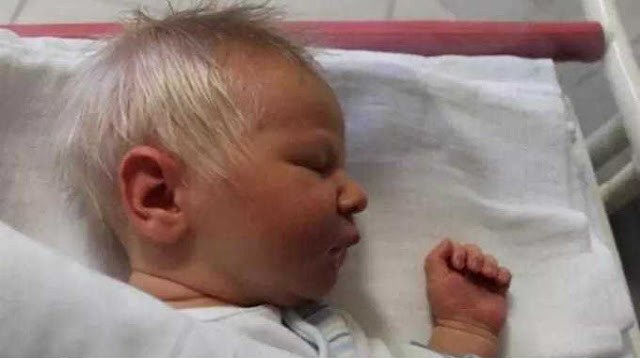 A little boy named Bence was born with snow-white hair in a hospital in Szekesfehervar. His nickname is Prince Charming and he is not an albino! 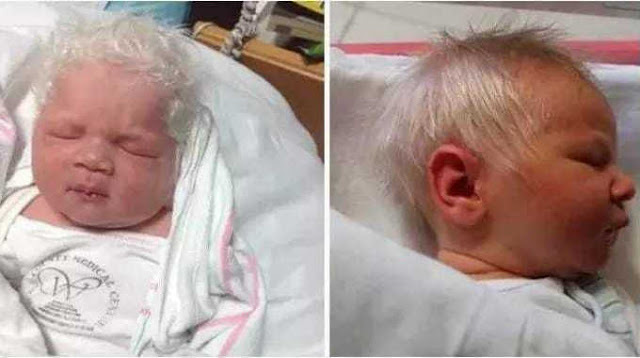 "The white hair is not a sign of illness or prenatal stress", said doctor Zoltan Kummer and according to him, Bence is not an albino. If he were, melanin pigment also would be missing from his skin and his irises.